Treat bruises and sprains with Active Arnica Ointment by Vitaforce for relief. Contra-Indications: Do not apply to open wounds. For external use only. UseInstructions: Children and adults rub into the affected area several times daily, unless otherwise prescribed. 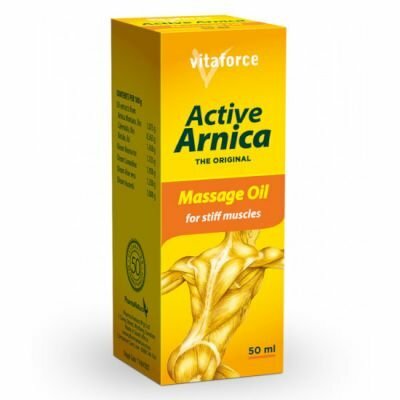 Active Arnica Ointment by Vitaforce is a herbal ointment which helps to treat bruises and sprains. It is made with natural ingredients and may contain traces of nuts. This ointment is also useful for treating rheumatic pain, and stiff, aching muscles. It also helps with other ailments associated with these symptoms. This herbal formulation is not tested on animals.